This Champion alto saxophone case is a smart, compact, shaped case, which is ideally suited for the beginner or intermediate instrument. 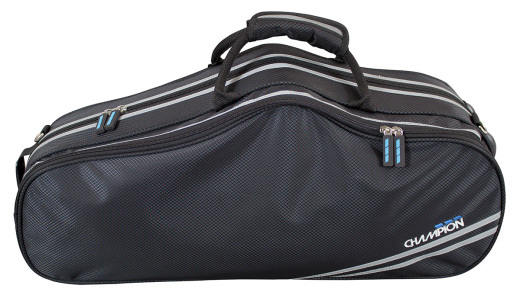 This case has rucksack style shoulder straps which zip tidily away when not in use. The case also features a zipped front pouch for all your accessories, a padded handle and a detachable cross-body strap.